Описание: Hardbound. 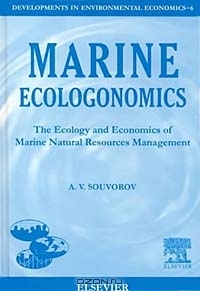 This book outlines a framework for analysis of marine resource management incorporating ecological and economic considerations and technological feasibility. Ecologonomics — a new emerging science combining economic and ecological concepts and principles — is introduced. Its use in studying changes in natural processes occurring in the marine environment in combination with analysing economic consequences of human impact on marine ecosystems is demonstrated. A unique book, which offers a rare insight into the research achievements of Russian scientists. Электронная очередь в поликлинике москва www.suo-rost.ru.